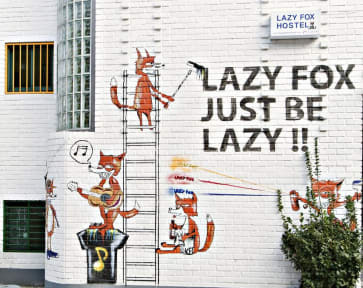 Hongdae Lazy Fox Hostel In Seoul, Seul, Korea Południowa : Rezerwuj teraz! That's one of the worst hostels I have stayed in and I travel a lot. There is mess everywhere, you don't get beddings and you sleep on a metal bed, in a very badly maintained room with concrete floor. People are saying that this hostel is nice because of the atmosphere but still it isn't worth to stay there, you can meet people and hang out with them in every other hostel. This hostel will be nice only if you consider partying as something more important than your bed.